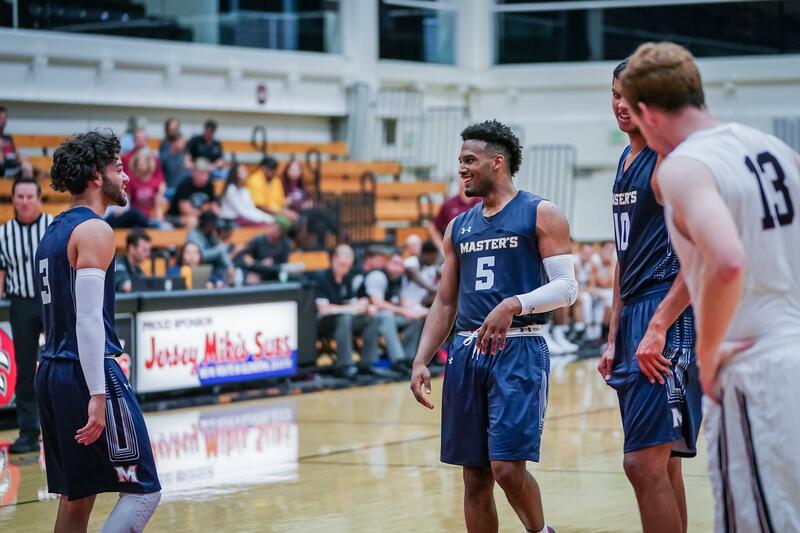 Around the time Master’s fell behind by 19 points Thursday in Fullerton, senior Delewis Johnson remembers telling his teammates that “this is just a gut check” and that the moment could prove to be a turning point in the season. Whether or not the latter is true will bear itself out over the next five games and into the postseason, but at least on this night the Mustangs rallied for an 88-83 win over Hope International inside Darling Pavilion, avoiding a third straight loss behind hot shooting and improved defense down the stretch. Hansel Atencia‘s three-pointer from the shoulder brought the Mustangs even with 1:40 to play, marking the first time TMU hadn’t been trailing since the score was 14-14. Moments later, a pair of Tim Soares free throws gave Master’s a two-point lead, and Darryl McDowell-White sealed it on the defensive end, rising off the floor with three seconds left to block the shot of a man 6 inches taller than himself. TMU’s Brock Gardner finished with a game-high 25 points, and Soares added 19 points and 13 rebounds, helping the Mustangs improve to 20-5 overall and 9-4 in the Golden State Athletic Conference, where they moved to within a game and a half of first place with five to go. Master’s, the NAIA’s No. 7-ranked team, and Hope (17-7, 8-5) will meet again at TMU on Feb. 28 in the regular season finale. Atencia chipped in 16 points for the Mustangs, who lost back-to-back games to Menlo and William Jessup on the road last week. The possibility of a third straight loss was never more real than with 10:52 to play: Poor shooting and porous defense had spotted Hope a 64-45 lead. The Mustangs cut the deficit to five on Jordan Starr‘s three-pointer with 3:46 on the clock, and Gardner knocked down a three one minute later to get within two. 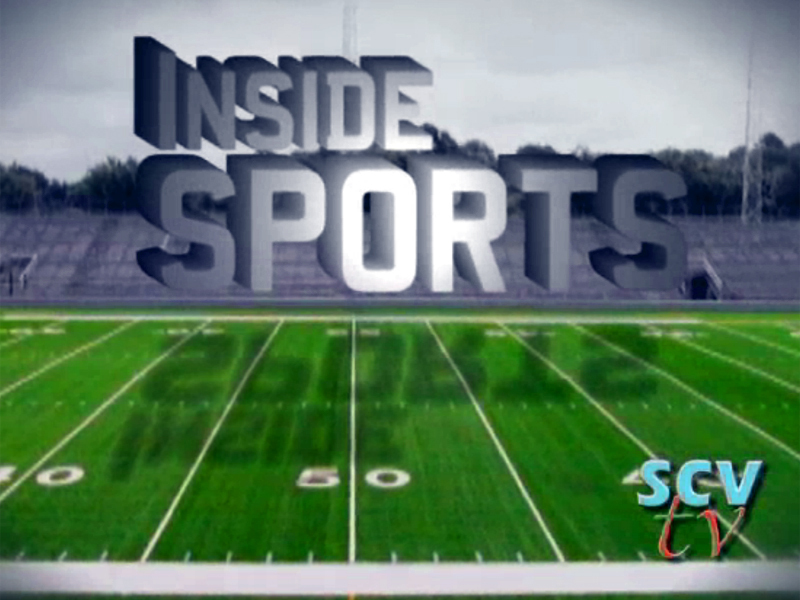 The Mustangs have struggled from distance for most of the season. But when the chips were down Thursday, they let it fly. Master’s hit 5-of-9 threes after halftime, and Hope hit just 1-of-9 during that time. The Mustangs shot 66% from the field after the break, compared to 34% before it. Master’s never truly cooled the Royals off, as Josh Powell-Davis, a 6-foot-6, 300-pound center, went for 23 points and Hope hit 51% of its shots for the game. But the Mustangs made stops when they had to – like when McDowell-White challenged Powell-Davis at the rim, blocking his shot and forcing a jump ball that gave TMU possession with three seconds to go.